Thanks to John for letting me borrow him! I love the red fringe. That’s great. Hm… I wonder if I could make that fringe in HM by masking. Or perhaps have boots, gloves and shoulder armor available with that fringe detailing. Maybe a few separate fringes (tracing different arches) to be masked on top of other items? I see he is going to “knight” school! I think this is one of my favorit scetch’s of yours. I love the drawing! Probably one of your best. But there is a book series for children named exactly “Pendragon” with an author DJ McHale. So… owning part I can’t convince myself about. Sry. “Pendragon” isn’t a copyrightable name just in and of itself since it was King Arthur’s surname, which predates copyright concerns. 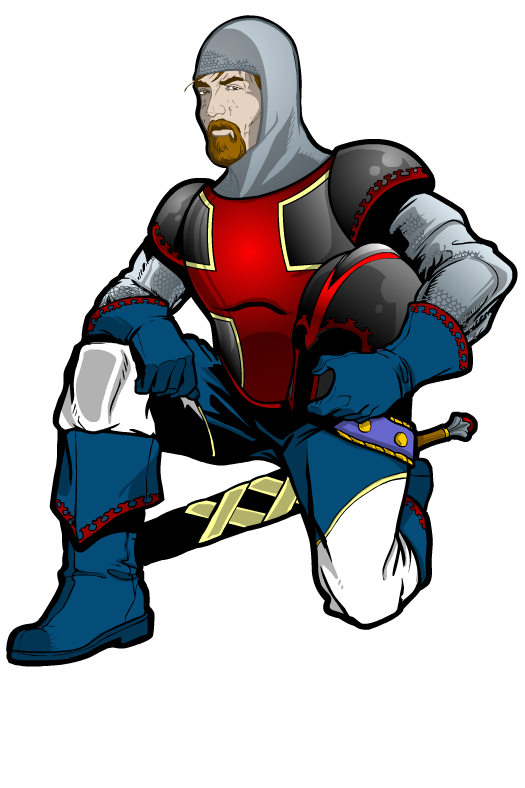 You can own a combination of the name with a specific character, but you can’t own the name “Pendragon” outright just on its own. So John owns this character named Pendragon, and McHale owns the specific books in the series that have that name as well. They don’t overlap. Connor S. – this particular character design and all likenesses thereof are my intellectual property. I own this character and anything related to this character that is the result of my own creative efforts. That’s what Jeff means when he says I own it. Because I do. is he related to king Aurthur ?